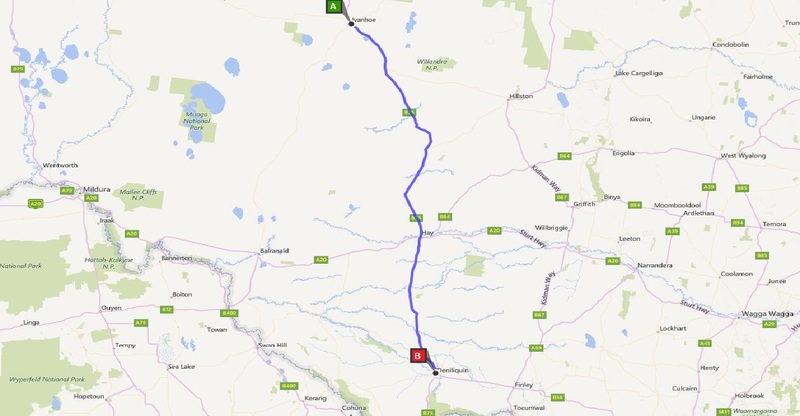 For all those who are superstitious and will relate to this, our stormy trip back to Ivanhoe was the third thing that went wrong involving our car. Our last shopping expedition to Deniliquin saw us limping into Moama (near Echuca) with the harmonic balancer hanging off. Sorry, but I don’t know what a harmonic balancer is either. While the mechanic worked on the car, we walked around the town cursing the summer bush flies and wishing that Hotels allowed dogs inside. When we returned to collect the car, we discovered that the mechanic had almost finished it when he’d accidentally put a hole in the radiator. Now radiators unfortunately do not grow on trees – at least not in the back country – and so began the search for a replacement radiator, leaving us stranded in Moama. Luckily, the mechanic felt obliged to lend us his car while ours was off the road and so the Bear and I spent the next two days (yes, it took two days) squeezed into the passenger side of a new SS Commodore ute! 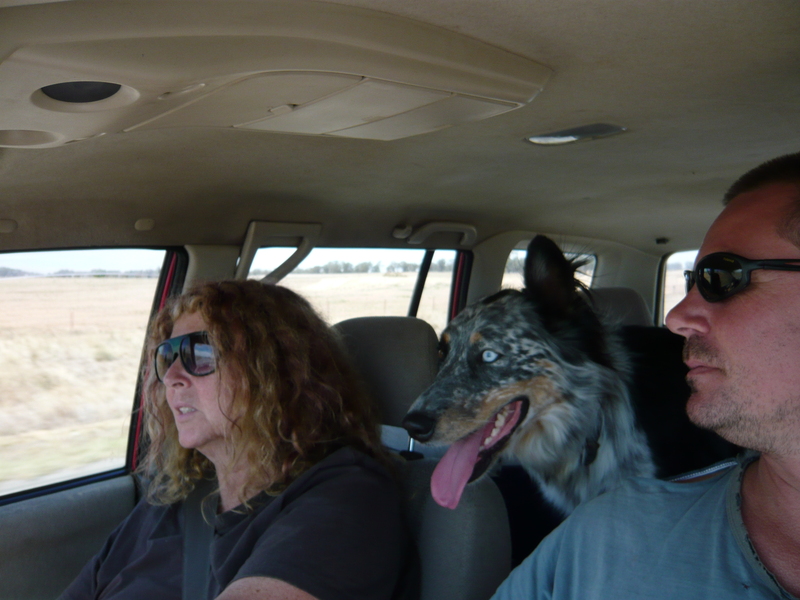 We spent the two days driving the 75 kilometres from our cabin at Deniliquin to Moama and Echuca where we’d traipse around like homeless backpackers – which was marginally better than sitting in a cabin all day or spending hours in an SS Commodore with a very large dog. Then finally on the third day and after agreeing to go halves in the new radiator, we were on our way again with leg room to spare! We also suffered a lost muffler bracket on our very noisy trip to the Central Coast so the flooded trip home has now completed our trilogy of misadventures and we can relax…….… which is just as well because looking out the window I can see sheets of corrugated iron blowing in the gale force winds, which have decided to ‘stay on’ in town. Thankfully, the sheets are attached (or not) to someone else’s garage roof and they will have the task of re-fixing them. Jackson’s chicken house roof on the other hand is nowhere to be seen, saving him the trouble. Our only damage seems to have been a down pipe and wind chimes. Nigel is working right through Christmas so I’ll be spending the holidays relaxing by the (blow-up) pool after I rid the lawn of the million or so weeds that sprang up while we were away.